In this depression workbook for adults, we will define several types of depression, such as major depression, persistent depressive disorder, psychotic depression, postpartum depression, seasonal affective disorder, and bipolar disorder. Just the right amount of information! Just the right amount of information! 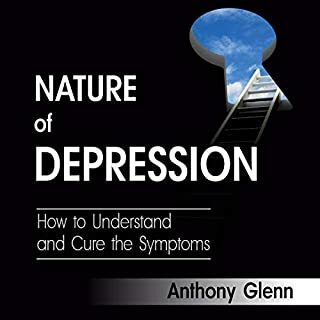 Without getting into too much medical or psychological jargon, while still giving insight from these discipline's understanding of depression, Glenn provides valuable information about the in's and out's of depression. If you are wanting to understand more about the causes and day to day effects of living with depression, you will not be disappointed by this audiobook. I will definitely be recommending it to anyone who comes my way seeking help with depression or to try and understand a loved one better. The more you know about panic attacks, the safer you will feel. Here, you will find advice on how to help yourself and what to do to take back control over your life. It really has helped me. I've found this book very helpful as a therapist, both for myself and for my clients. I only experienced a few minor anxiety attacks in the last year, but they intensified like crazy when I became pregnant. 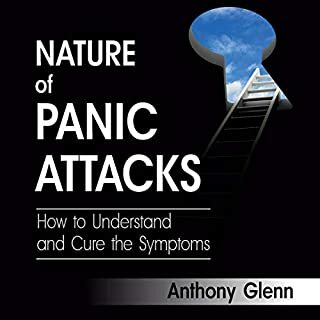 This is the third book I've listened to about anxiety and panic, and all of them have been helpful, but this one seems to have the clearest strategies on how to overcome it. It's a must listen to or read if your life has been consumed by anxiety. It’s full of great recipes. 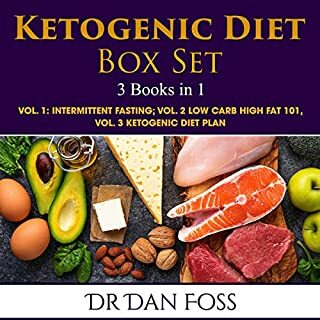 I’m interested in fasting and eating healthier and this book helped me to know what steps to take. This book contains many delicious healthy recipes that are easy to make. The instructions are clear and easy to follow. Sometimes, life is more than we can handle. From chasing kids and carpooling to business meetings and emails, adulting becomes something from which we wish we could get away. That is why we should all just say f--k it all and go camping. We are here to tell you that camping isn't difficult. It is something that can do - even if you have never done it before. If you have ever wanted to escape to somewhere it will be impossible to find you, then this is the audiobook for you. 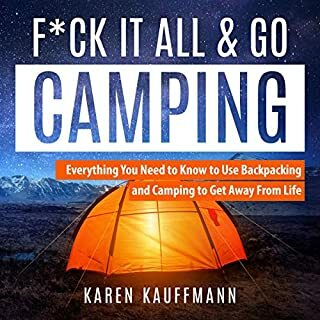 This is a great book to get you started backpacking. I have done a lot of small day or half day hikes but I have never backpacked before. My first three-day backpack adventure starts in three weeks. This book has helped a lot in my planning. Do you feel like something is missing, even though you have everything and should be happy? Your soul is suffering. Your soul needs you, needs your attention, and needs to find a supportive friend in you. This audiobook is here to help you heal. It is like a friend who understands you but also has the answers. This friend knows what should you do and exactly how things will get better. So, if you want to find inner peace and heal your soul, listen to what this friend has to say. Then pick out some of the advice that best suits you and let it inspire you to begin your healing journey. This is a beautiful book. This is a beautiful book that can if used, guide you to a much better understanding of yourself and finding a sense of inner peace. There is so much in each of us that is hidden. This book helped me see past some of my self-delusion to become more real. 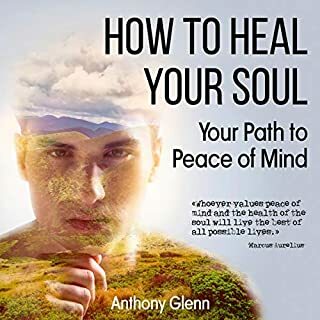 "How to Heal Your Soul" is a well-written/narrated book expressed in a clear, concise matter to assist your understanding. It is most helpful and useful to use. It is an excellent book for those dedicated to improving their spiritual growth, and it will be the perfect book to study together with a group of soul companions to support each other along the path. Is it your dream to know how it feels not having to worry about money? This audiobook provides you with all the tips and strategies you need to start your business. It provides you with the fundamental skills and knowledge needed in internet marketing. It also teaches you the process on how to become an affiliate marketer and how to make your business a success. As we all know, there is no magic trick that turns your time directly in to money. However, there are ways to make money passively that do not require you to take on another "job". This is an excellent book. 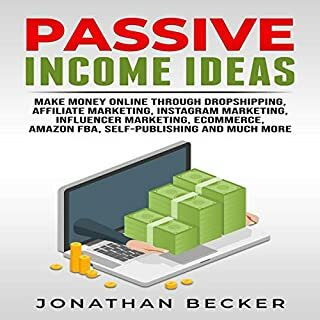 This is an excellent book for online Passive Income. I have tried lots of books but its really helpful for me. This book I can find lots of parts like Affiliate Marketing, Amazon FBA etc. I listen this book I really benefited. I appreciate this book. Relaxing your brain will help enhance your memory. It will also help in achieving better, clearer memory performance in your day-to-day life. Listening to this for at least three weeks straight will help you achieve a state of hypnosis, enabling you to tap inside your brain. 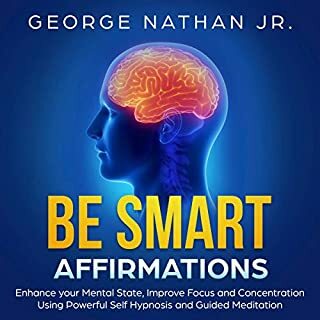 By all means buy this book even if you already use affirmations or new to using affirmations, this is a must buy. I would glady have given this more stars if available, this book is that good and effective and easy to follow,use and apply. I highly recommend this book. Let your mind take control of your unfavorable eating habits through positive affirmations. 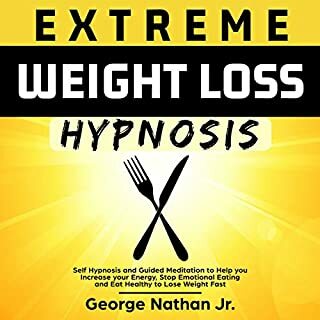 This motivational hypnotherapy bundle tackles the different issues of an unhealthy lifestyle, and empowers your mind to modify your body processes while in a state of hypnosis. If you want a rapid way to lose weight, it’s important to first look within, and understand what could be causing your emotional eating, constant cravings, and excess intake. What’s causing this negative behavior, and how can it be converted to a positive one? This is where the law of attraction comes in. I really liked this audiobook. I really liked this audiobook. It's indeed very exciting and full of interesting pieces of advice about self-control, hypnosis and so on. Thanks to the author! On dit qu'il existe des preuves scientifiques que le bonheur est simplement un choix que l'on peut faire. Cela, cependant, ne pourrait pas être plus loin de la vérité. 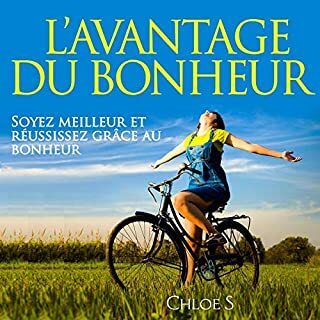 Comme vous le découvrirez tout au long de ce audiolivre, le bonheur est plus qu'une simple décision. C'est faire un pas par pas dans la vie, ajuster son état d'esprit et ses choix au fur et à mesure que l'on voyage dans la vie. Esto cambiará la forma en que comienza su día. Ser feliz te hace más inteligente. Ser feliz te hace más inteligente, más eficiente y más productivo, lo que te hace feliz. Entonces, ¿qué fue primero, la gallina o el huevo? Bueno, creo que es el pollo en este caso. Y el pollo está siendo feliz no importa qué. No esperando, no mirando, solo siendo. Y ser feliz. Con lo que es. Entonces, comparta su felicidad y vea lo que sucede. Más productividad, más inteligencia, más cooperación, más logros. 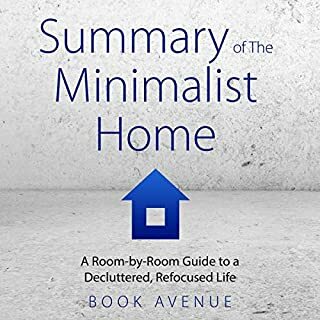 The book A Room-by-Room Guide to a Decluttered, Refocused Life - The Minimalist Home is designed to help you fall in love with your home again. (Disclaimer: This is NOT the original book. If you’re looking for the original book, it is available from Amazon and Audible.) Instead of moving to a bigger home, or hiring a decorator, follow the steps in this book. Not only will you feel like your home is bigger and refreshed, but your daily routines will be made easier. Now I need to pick a time, soon, to start. Now I need to pick a time, soon, to start. Lots of helpful guidance and sound reasoning for going minimal. I know I need to do this and now I have some checklists I think I can do it.